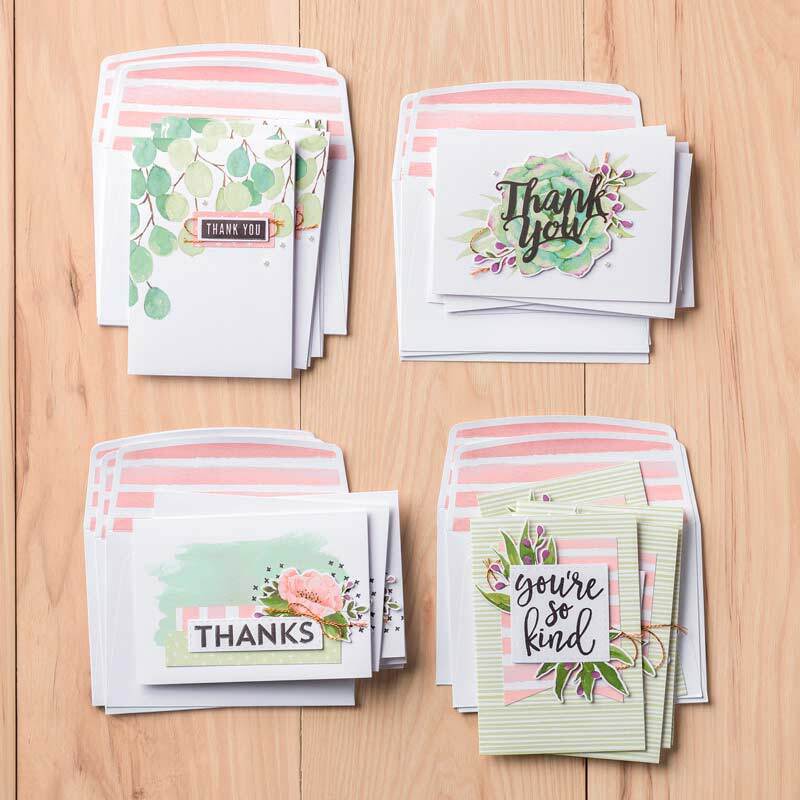 I used the same flower that was used in the kit layout but instead of adding the big die cut “Thank You” … I added a few of the die cut strips to add some color and then I stamped my greeting directly on the pink one. 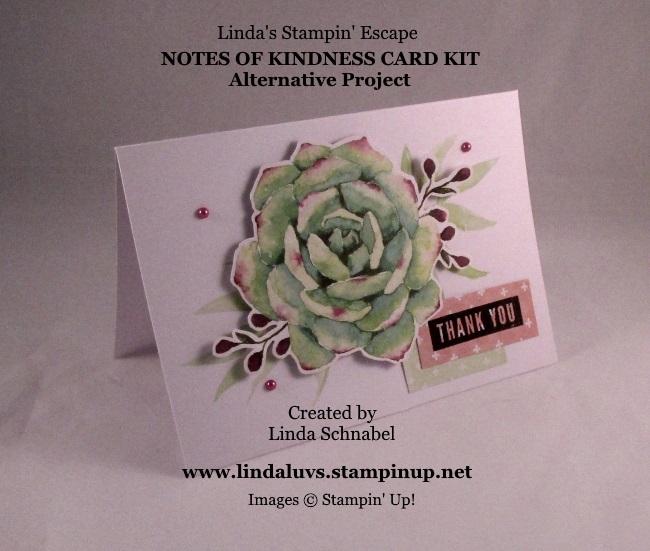 This is truly a quick and simple card to make. I did add the pretty “Share What You Love” Artesian Pearls. My next card is the last of the four backgrounds … the color wash (I love it)!! Who said you cannot say Thank You in any language … and why not French, it’s so pretty. 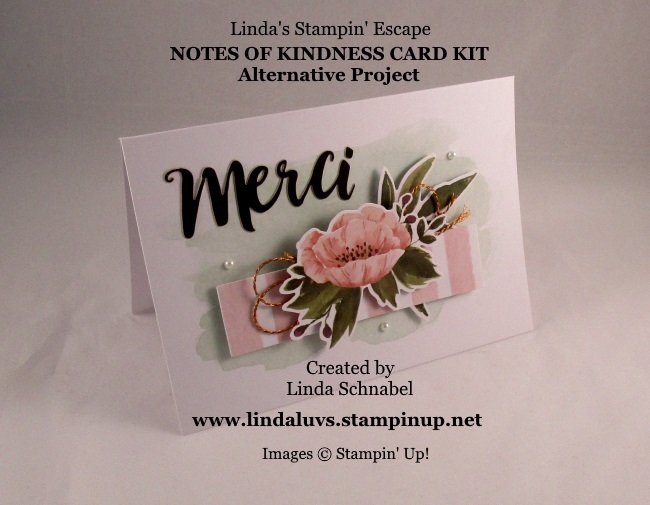 On this card I decided to use the die cut “Merci” as my greeting … it actually highlights the floral arrangement. I began my arrangement by looping the pretty cord behind my flower. The cord is secured with dimensionals and then attached to the pink and white die cut strip. Although this strip has adhesive on the back … I wanted it raised, so I added 1/2 of the leaves sheet and then popped it up with Dimensionals. I finished off the card with a few pearls … quite easy to make and oh so pretty. Thanks for joining me this Monday! I hope it is a good day for you.